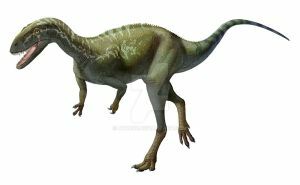 How tall would Eustreptospondylus be max? Could it reach 2m tall? 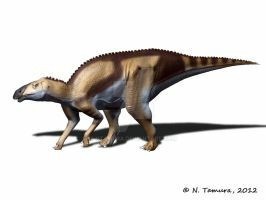 Estimate length is 4.5 m but then the only known skeleton is from a juvenile so a full adult may possibly have reached a height a 2 m at shoulder level. Thanks. 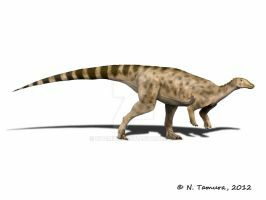 Did Eustreptospondylus have little crests like Allosaurus? I have seen artworks where the crest is more evident, while others were not. 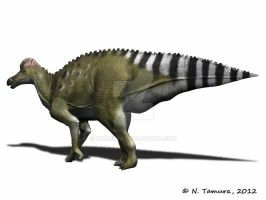 What is the current accepted skull shape for Cryolophosaurus? 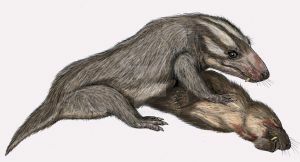 Originally it was portrayed with a broad snout, now there are some depictions of it with a narrower snout. The white part is actually what is known. The grey parts are inferred. 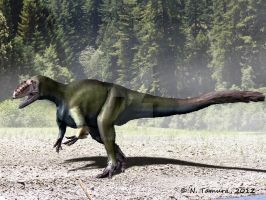 Cryolophosaurus was a primitive tetanuran and would have had a more elongated skull than say Allosaurus. Nice !! 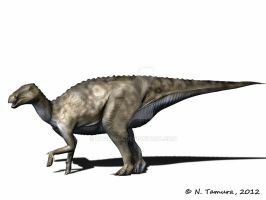 And very intresting about the head shape, this will forever change my imagination of this creature, it looks awsome. Very interesting reconstruction of the skull. 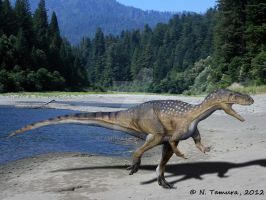 Is such a reconstruction something to be taken with a grain of salt or is their more to be said about this hypothesis that Eustreptospondylus is a direct ancestor to spinosaurs? What about the partial skeleton in the Oxford Museum of Natural History? 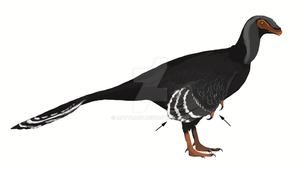 The skull doesn´t look as elongated as in your reconstruction. You really learn a new thing every day! 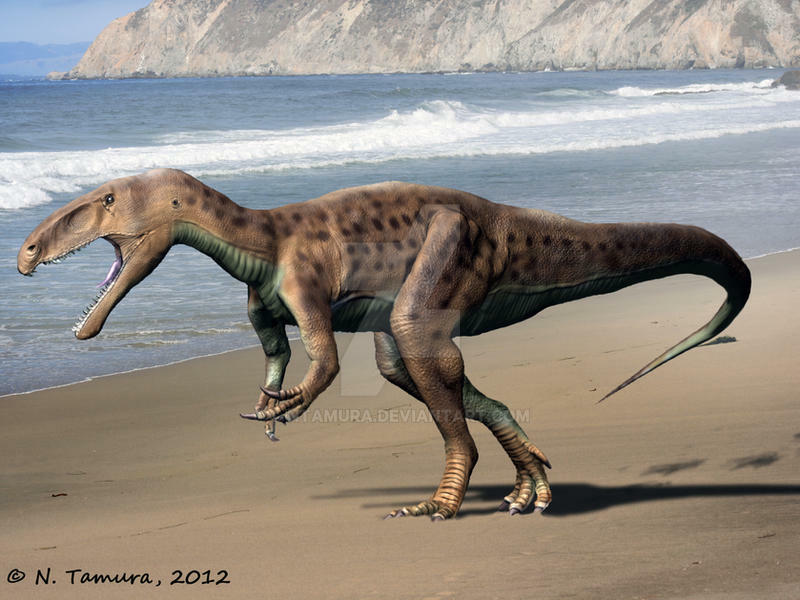 I must say, this reconstruction nicely portray this hypothesis - the hints in the jaw morphology especially. 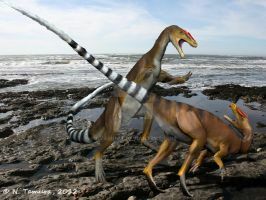 very nice work indeed, earlier tought to be a megalosaurid. 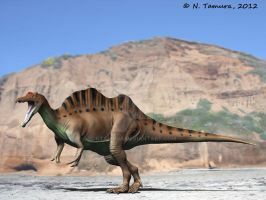 I can see the spinosaur characteristics. 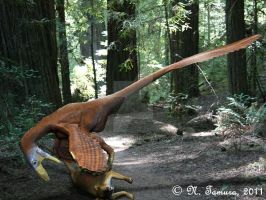 I thought at first it was a coelophysoid or spinosaur looking at the thumbnail, lol. Great job!